Q: I recently became a US citizen but have not yet obtained a US passport (and my foreign passport is no longer valid). I have a family situation that will require me to travel abroad as soon as possible. What do I do? A: Normal processing time for a US passport application is currently around 4-6 weeks, according to the State Department. There is an expedited processing option available, which is estimated to take 2-3 weeks. This option can be used for new passports, renewals, name changes, and the addition of extra visa pages. In addition to the usual fees totaling $165 for a new adult passport, expedited processing requires a fee of $60 plus the costs of an overnight delivery service. The forms, required evidence, and all other details concerning passport applications are found on the US State Department web site at www.travel.state.gov. Click the Passports link and navigate the topics on the left side of the page to find precisely what is needed for adults, minors, and changes to existing passports. Instead of mailing their applications, those who need a passport for foreign travel taking place in less than 14 days can make an appointment to handle the process in person at a Regional Passport Agency. The mechanics for scheduling an appointment are covered on the State web site as well. Foreign citizens without currently valid passports who urgently need to travel to the US or to leave this country and return should consult the web site of their country’s department of foreign affairs or its embassy or consulates in the US. There they will find the information they need on emergency passport issuance. 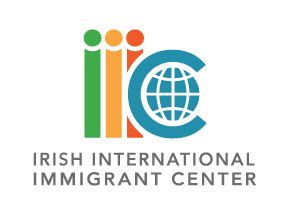 For Irish citizens, the local Irish Consulate can be contacted at 617-267-9330 or www.consulategeneralofirelandboston.org. Note that, no matter what your country of citizenship, you can save money and aggravation in an emergency by keeping your passport current with at least six months of validity remaining. For a free, confidential consultation on any aspect of immigration law, visit one of our legal clinics advertised weekly in The Irish Emigrant. Disclaimer: These articles are published to inform generally, not to advise in specific cases. Immigration law is always subject to change, and US Citizenship and Immigration Services and the US Department of State regularly amend regulations and alter processing and filing procedures. For legal advice seek the assistance of an IIIC immigration specialist or an immigration lawyer.